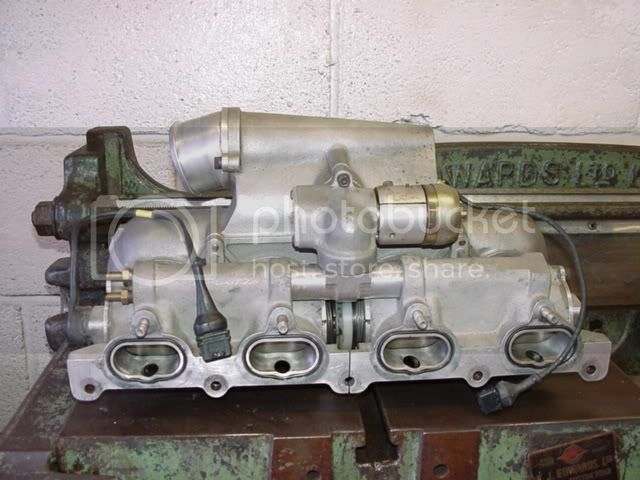 Assuming additional fuel is not required during wot/max rpm and the current four injector fuel delivery is ample, is there any gain to be had by fitting an RS500 intake manifold over a standard (4 injector) manifold bar the increased throttle body diameter of the RS500 unit? The question above is regarding a 450HP engine. Unless racing in a specific class requiring the exact part it is considerably more economical to modify an original. The best option for performance is too scrap the factory setups all together and buy/manufacture a custom manifold with optimum runner length and plenum volume. Throttle body, elbow, plenum volume are big helpers, to gain extra power, the extra injectors are less important and are there as needed. A lot of UK cars are now running side by side eight injector setups, this was developed I think by Mountune for WRC cars. There are companies that also make spacers for the plenum to increase volume, this is a help. However, IMHO the standard Marelli management at all levels (including L6 with pectel boards) is a bit ancient, and can be bettered. As for maximum power available from standard single injector setups on Marelli management, we have seen a few running up to 450 crank bhp, with the right injectors. I believe more would be possible without too much difficulty (bigger injectors/fuel delievery system, even more boost etc), but making it a refined useable tune is the hard part with standard management, at that level they are getting a bit crap at low speeds/ idle etc, so it's Ok if you just want a HP figure to brag about, but crap if you want a fast car. So if I wanted much more power from my car, I would not be wasting my money on genuine RS500 inlets and management system, I would instead be investing in good management, and a custom plenum, or spacer for the one I have. 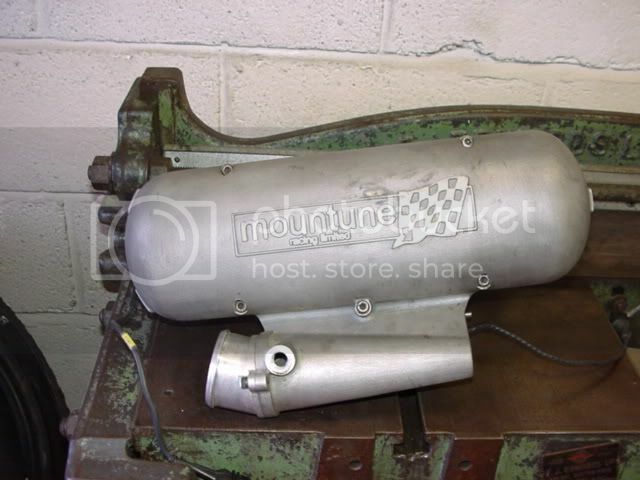 There are 2 RS500 items that do work very well though, a genuine RS500 intercooler is on of the best available, and the exhaust manifold (same as 3door RS cosworth) is also good for above 420bhp, there are 2 types of manifold, some are thicker than others, both work the same, the thicker one is stronger. The RS 500 block is also very strong, as is a new 200 motorsport one from Cosworth, if I was building a fresh 400+BHP engine it would be first thing on my shopping list. What is your definition of “extra power”? What power increase would be expected due to the “Throttle body, elbow and plenum volume” from the fitment of an RS500 manifold/plenum over the standard setup? Refining the wheel for sure. The factory inlet is too short for the typical turbo application. I'd guess yours is going to be fairly typical at 450hp. If you are building a 10Krpm engine then you should be talking much higher HP and then the std inlet length may be of some use. Drivability can certainly be improved along with performance. Getting an ideal combination of manifolding, valve timing and turbo size can improve the off-on boost transition and fatten up the torque curve. The GpA approach was low compression ratio with large boost numbers. Keep in mind they had to use the homologated part. This made for poor driveability. The alternate approach is keep CR up, less turbo boost and use manifold ram tuning. Of course low CR, big boost and manifold ram tuning is good for even bigger numbers. I've not seen what the Scandinavians do but the factory plenums lacks volume and shrouds the runner mouth to an extent. Putting the T/B on the end with the right shape plenum will fix the flow bias generated by the elbow. Done properly it is not devoid of science. COS500 are you Jake ? jsa wrote: COS500 are you Jake ? No, you must be thinking of someone else. whereas with a Motec (or similar) although you have the extra work of fitting/ wiring it, you do have a system that you can make instant live changes to a huge amount of parameters to get a decent map, so dyno time to get it perfect should actually be less. Of course you can buy chips off the shelf for the standard Cossie management, and get Ok results, but they are never as good as custom mapping to an individual engine, and if you are going for anything different to the standard modification routes they will be unsuitable. The standard management is Ok though and all of this is possible, if you are a wizard at mapping it, or if you have a good mate who is, but if I was building one from scratch here in Oz I would seriously consider using something else to make it easier. Spotted these on another forum. from the off i decided i wanted an engine that would rev but still be quite responsive so rather than destroke the engine to get the rod length to stroke ratio right i decided to increase the stroke. now, when you stroke a yb you normally end up with a less than ideal ratio. what you need is a MUCH taller block enabling a longer stroke but also more importantly longer rods...... much longer rods! the millington engine had a 8mm taller block but even that is not ideal for what i wanted so i had to make my block taller. in simple terms i have added a spacer on top of a 200 block and then linered through both parts...ping, tall block! now all that seems simple but believe me it's not, there's a lot to consider! 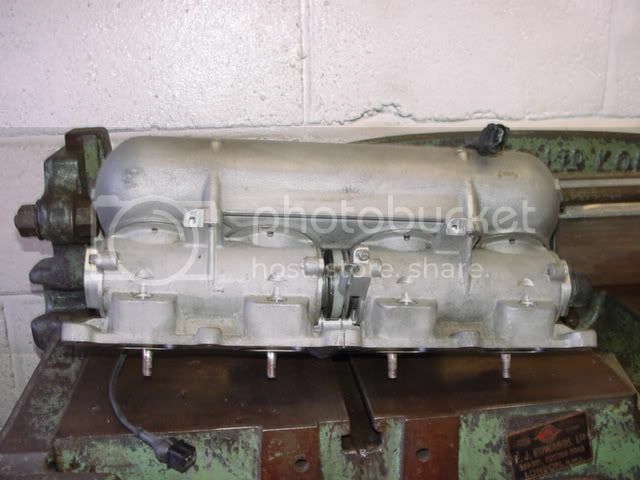 * the inlet manifold is made up from an m.i.s. mag plenum, jenvey individual throttle bodies and a jenvey manifold which had to be chopped and welded to get it under the bonnet! * the dyno figures are 100% accurate, some might claim more but reyland horses have always been strong! oh and it makes full boost by 4000rpm..
Last edited by Roger Miller on Tue Apr 11, 2006 9:43 pm, edited 1 time in total. What compression/boost and fuel do these guys run? What are the side effects of high comp/high boost if any? What is needed in the mapping to make it all work? The photo's don't appear to match the description ? The block looks standard height in the pictures. Millington blocks are only 8mm taller probably because cambelt length becomes the issue. Doing a stroker my self, I looked at doing a tall block engine and the limitation turned out to be cambelt length at the time. Can you post a link to the forum ? Roger Miller wrote: Spotted these on another forum. High CR and boost can be hard on head gaskets, bores, ring lands and rings. But then so can any config resulting in high cylinder pressures. One of the key ingrediants to high CR & high boost is combustion chamber squish and mixture motion along with fuel octane to resist detonation. On the mapping side, some aftermaket ECU's allow individual cylinder trim of spark timing and fuel. They can also allow map points to be grouped around any load/rpm point instead of being equally spaced.